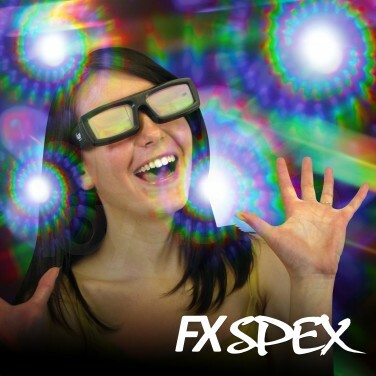 Turn the light show on its head at your party and see the world come alive with holographic colour when you wear FX Spex Deluxe Rainbow Glasses! 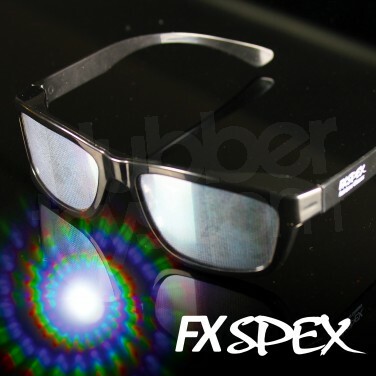 Look at a light source and see it burst into colour and holographic effects for a truly mesmerising experience. For bursts of colour choose burst (green frame), see Catherine Wheel styled spirals of light with spiral (black frame) or feel the love with holographic hearts (blue frame)! 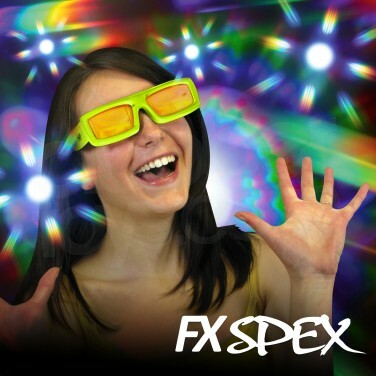 Whatever you choose, your light effects will never be the same again! Turns light sources into a holographic light show! 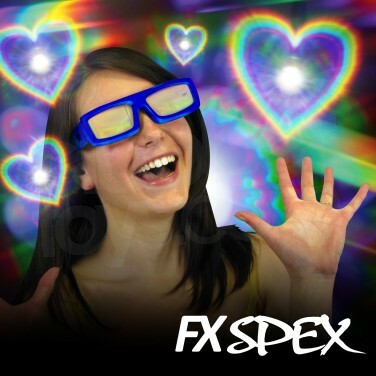 FX Spex Deluxe Rainbow Glasses - Spiral (Black Frame) See holographic hearts, spirals and bursts of colour whenever you look at a light source for super hypnotic effects! 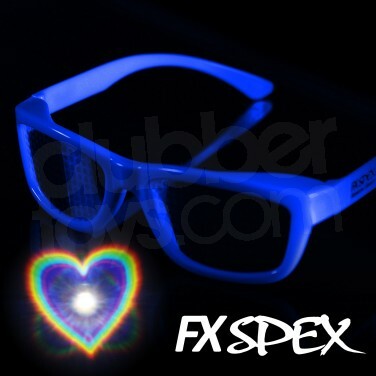 FX Spex Deluxe Rainbow Glasses - Heart (Blue Frame) See holographic hearts, spirals and bursts of colour whenever you look at a light source for super hypnotic effects! 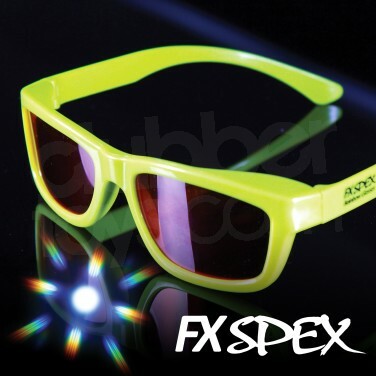 FX Spex Deluxe Rainbow Glasses - Burst (Green Frame) See holographic hearts, spirals and bursts of colour whenever you look at a light source for super hypnotic effects!